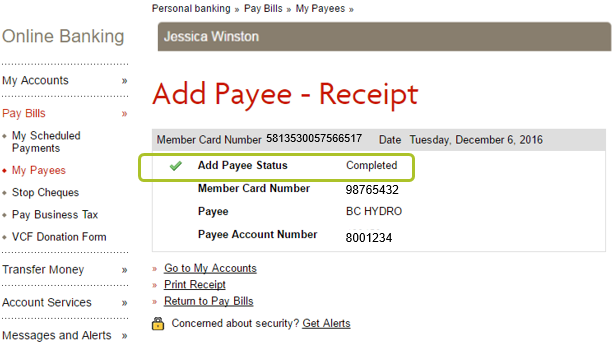 if your status is completed, you’re done. 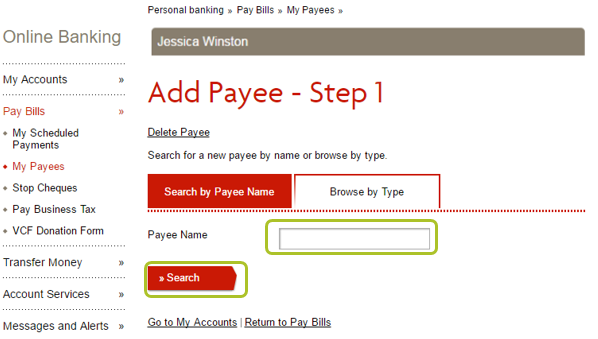 Step 7: type in your Account #. 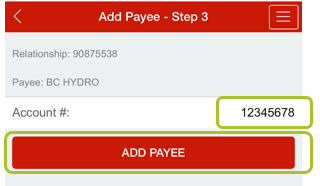 tap the icon on the right of the payee you want to remove and tap “CONFIRM” to proceed. 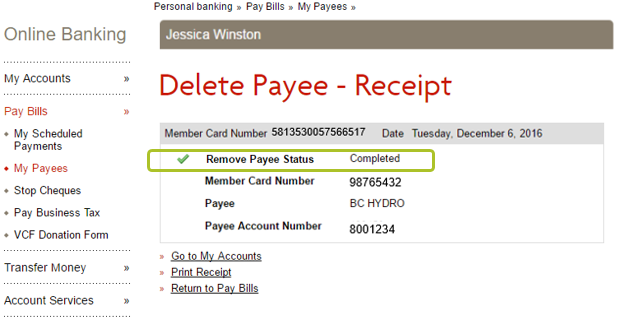 To add or delete a bill payee, dial 604.877.7001 or toll-free 1.800.310.8777. 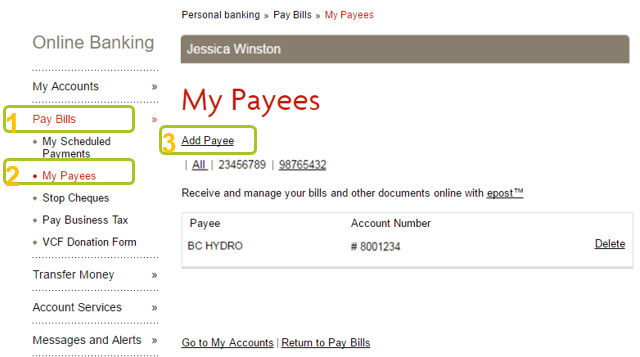 After log in, press “2” for Bill Payments and press “3” to manage your bill payees list. 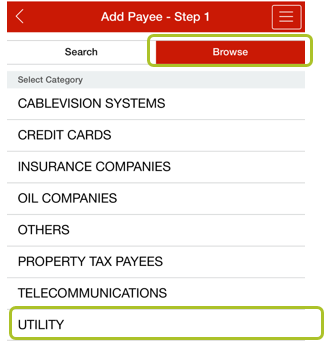 Telephone banking overview for details. 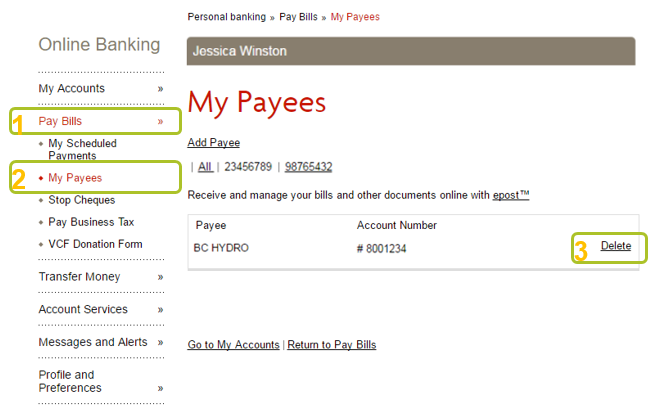 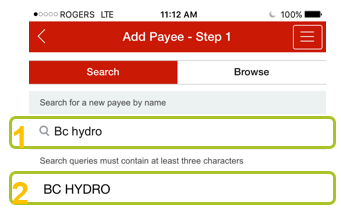 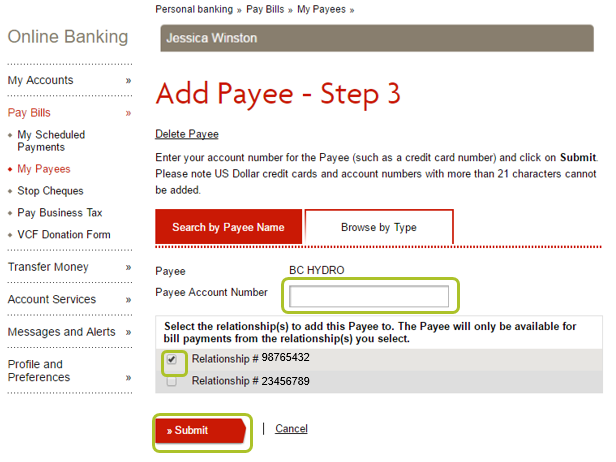 Note, you cannot add or delete payees using a mobile device unless it’s the Vancity mobile app.